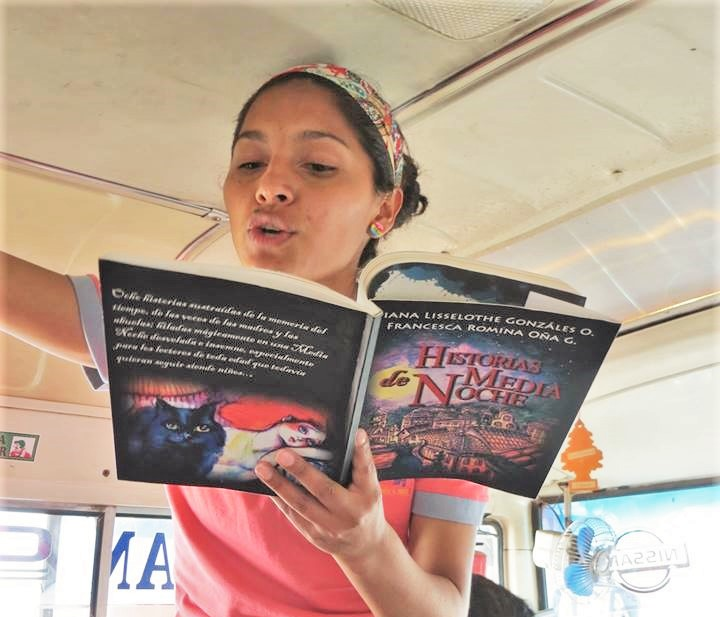 In April, the BiblioWorks staff and volunteers organize brigades and promote reading on the public buses in Sucre. In order to carry out this activity, we coordinate with the union of bus drivers in the city. Groups of two board the buses and offer books and magazines to the passengers. 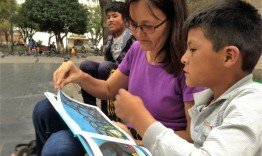 In three minutes, the volunteers organize a fun activity about the importance of reading before the bus continues its route. The main goal of this activity is to promote reading habits among the users of public transportation.